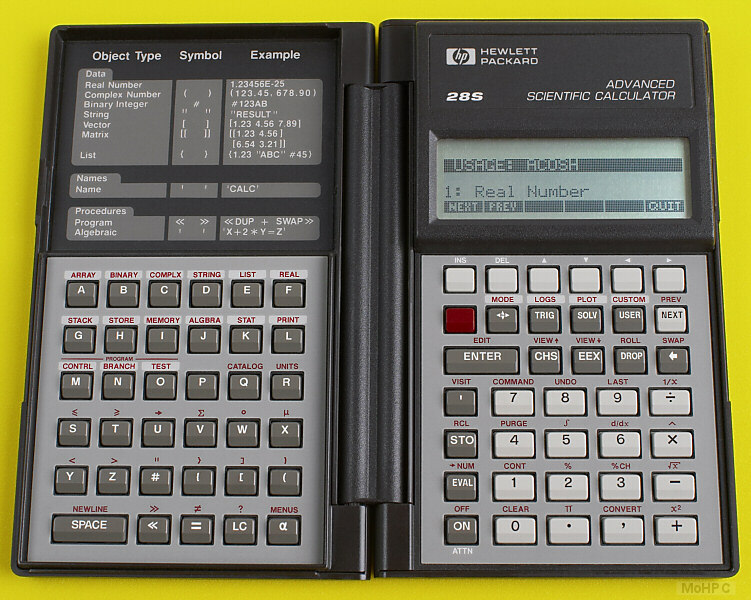 With the HP-28C, Hewlett-Packard completely revamped the scientific calculator. This model did symbolic math, used named variables, understood many data types and was the first full RPL calculator. (The HP-18C used System RPL internally but didn't make RPL available to the calculator user.) It was extremely powerful with a wealth of functions and many features inherited from the HP-18C including infrared printing which freed the user from cable clutter, labeled soft keys, menus and the dedicated alphanumeric keyboard which made creating complex programs and expressions more convenient. To understand the HP-28C, the reader should first visit the RPL page. 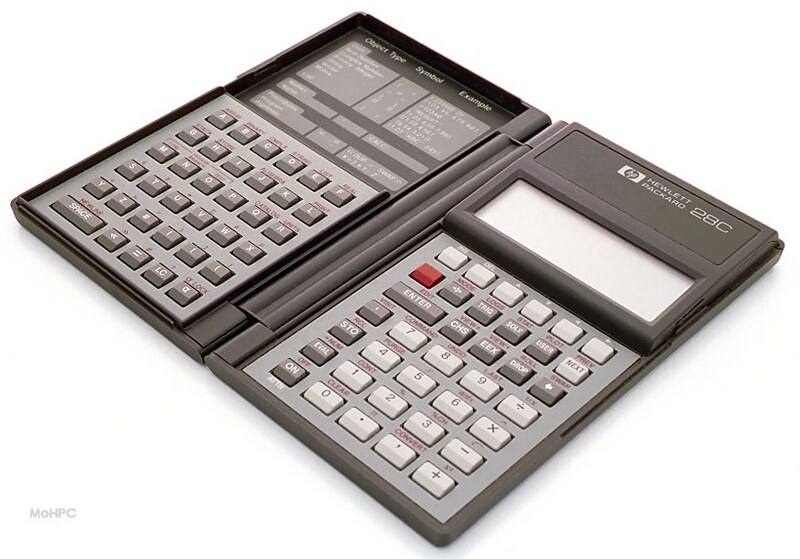 Because the HP-28C was the first full RPL calculator, most of its new features are described there. This page only describes new features which are not obviously RPL-related, though this is sometimes a fine distinction. The HP-28C included a solver that was similar to the algebraic solver in the HP-18C, though the HP-28C could solve both algebraic and RPL expressions (programs). The HP-28C also used a different UI. Rather than using the same key to set or solve for a variable depending on whether a number had just been entered, the HP-28C user pressed the key alone to set any variable and pressed SHIFT followed by the same key in order to solve for it. Like the HP-18C, the HP-28C combined the ease of use of TVM solvers with the power of general solvers. 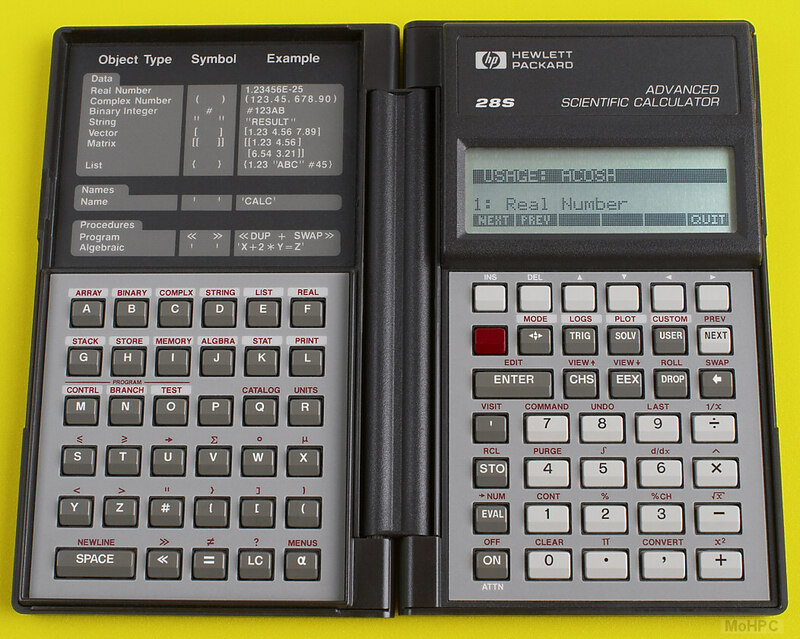 The calculator came with a large library of units and allowed the user to build more complex unit strings. To convert from one unit to another, the user entered the number (followed by enter) and then entered the units to convert from and to (either via the unit catalog or by typing them on the alpha keypad.) The convert button was then pressed to do the actual conversion. 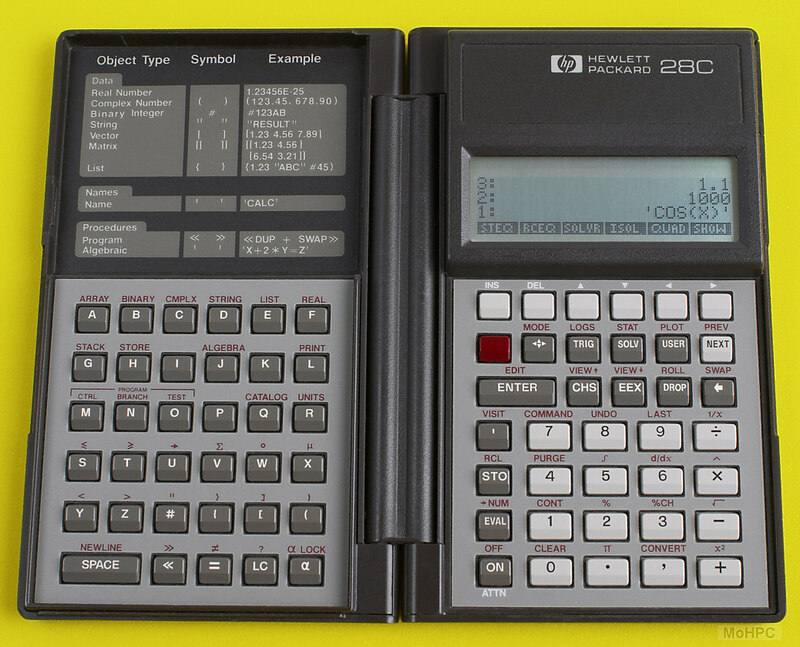 With its new dot matrix screen, the HP-28C was HP's first pocket calculator to display graphs. The user had control over the scale and position and could move the cross hairs to a place on the plot and have the calculator send the coordinates to the stack. Plotting was a convenient way of finding zeros, minimums and maximums of expressions. A substantial set of binary math functions were provided. The word size could be set from 1 to 64 bits, and the display base could be binary, octal, decimal or hexadecimal. In addition to the usual math functions, the logical functions such as AND, OR and XOR were provided as well as rotates and shifts. Being an RPL calculator, it was not necessary to enter a special mode to work in binary as was the case with the HP-16C. Instead, binary numbers were indicated by preceding them with a "#". "SYSEVAL is intended for use by Hewlett-Packard in application programming. General use of SYSEVAL can corrupt memory or cause memory loss. Use SYSEVAL only as specified by Hewlett-Packard applications. SYSEVAL evaluates the system object at the absolute address #n. You can display the version number of your HP-28C by executing # 10 SYSEVAL (assuming DEC base, which is the default base.)" This was the entire description of SYSEVAL. The warning was not heeded by all HP-28C owners and System RPL programming by users was born. 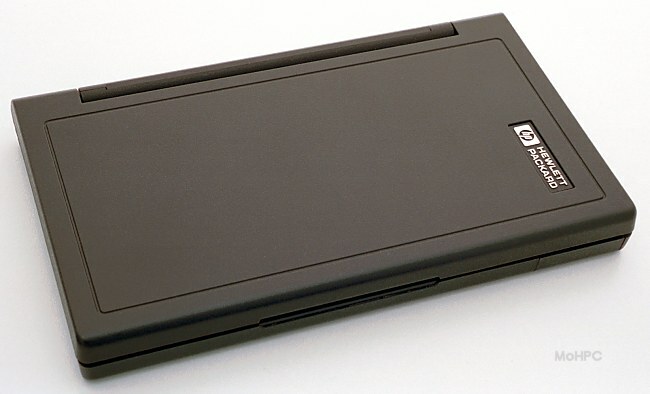 The HP-28C was introduced with 2K bytes of storage. The HP-28S replaced it a year later with 32K bytes at the same price. Custom Menu. The user could define a menu of objects/commands with the MENU command and then view this menu with the CUSTOM command. Unlike the USER menu which showed the objects in the current directory, the CUSTOM menu was set by a command and stayed the same even as the user moved through the directory structure. Graphics Strings. The LCD> command created a string that contained the bits of the current LCD display which could be stored, altered, and printed. >LCD moved a string into the LCD. Both versions used a Saturn architecture processor.